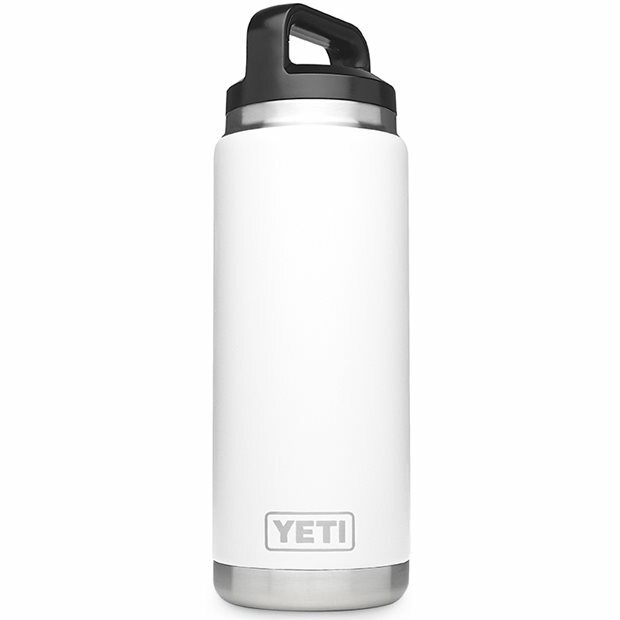 DESCRIPTION The YETI Rambler 26 Oz. Bottle is perfect for every day, all day. This tough bottle is Doublewall Vacuum Insulated to keep your water cold (or coffee hot) and comes with a Triplehaul Cap that is insulated and leakproof. The 26 Oz. Bottle features a No Sweat Design that prevents condensation, keeping your hands dry. It also features Over-The-Nose Technology that offers an extra-wide mouth for easier ice loading and unobstructed drinking. Rambler Bottles are available in 18/8 stainless steel and DuraCoat colors that won’t fade, peel, or crack. Both are dishwasher safe.